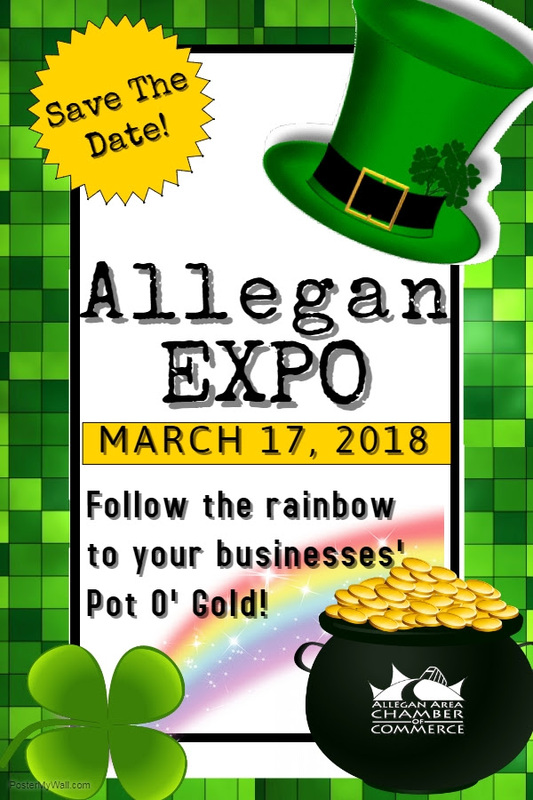 Allegan EXPO 2018 will be held on Saturday, March 17; yep, St. Patrick's Day. We will certainly be playing on that theme from the Shamrock Isle in our preparations and encourage you join us in the fun. If you really want to get in on the fun, the Allegan EXPO Committee would love to have you join our committee. Meetings are on Thursday mornings at 8:00 AM at Mug Shots Coffeehouse. Call the Chamber for more information including meeting schedule details.